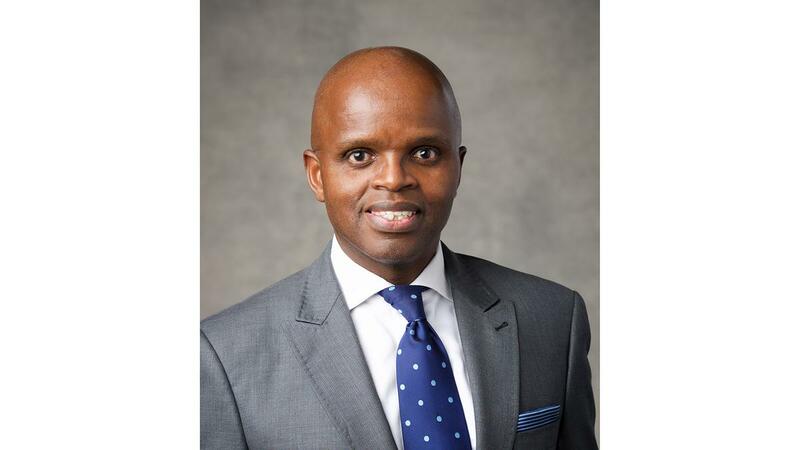 Elder Khumbulani Mdletshe was named a member of the Third Quorum of the Seventy of The Church of Jesus Christ of Latter-day Saints on April 5, 2014. Elder Mdletshe received a Bachelor of Arts degree in history and political science from Brigham Young University-Hawaii in 1991, a master’s degree in education from Brigham Young University in 1992, and a PhD in education management from Rand Afrikaans University in 1999. In 1993 Elder Mdletshe began his career as an education center coordinator for the National Research Foundation and continued to work in the education research field until 1997 when he began working for the Church. Since that time he has worked as both a regional and area director for the Church Educational System (CES). Currently, he serves as the director of the Roodepoort South Africa Institute. Since joining the Church in 1980, Elder Mdletshe has served in numerous Church callings, including full-time missionary in the London South Mission, bishop’s counselor, branch president’s counselor, branch president, high councilor, stake president’s counselor, and mission president’s counselor. Khumbulani Desmond Mdletshe was born in Durban, South Africa, on October 18, 1964. He married Cynthia Ntombifuthi Hlongwane in December 1994. They are the parents of four children. Elder and Sister Mdletshe reside in Roodepoort, South Africa.